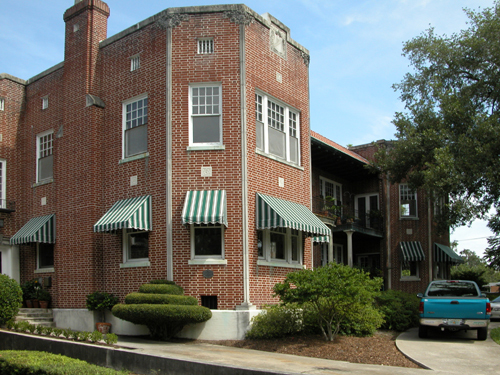 In 1923 Klutho designed the Napier Apartments on Riverside Avenue. 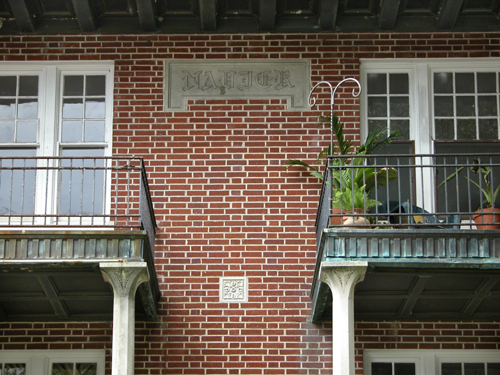 This design in dark red brick trimmed in cast stone slightly resembles the Kenna Apartments building in Chicago designed by architect Barry Byrne, formerly with Wright’s studio. 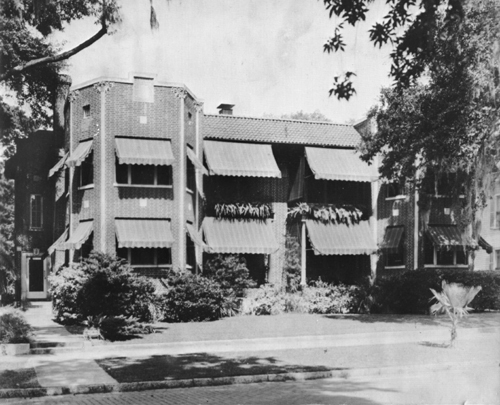 Byrne’s building was designed in 1916 but was not published in The Western Architect until 1924. 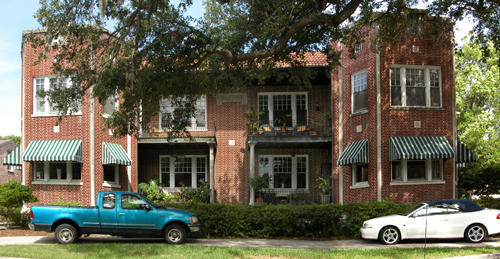 By the mid-1920s the Prairie style was generally out of fashion, but this building presents an intriguing reminder of Klutho’s earlier work with tiny bursts of Sullivanesque ornament terminating the cast-stone fillets that run full height at corner walls, demonstrating how to decisively detail brick coursing that intersects at angles greater than 90 degreessomething Byrne did not solve in his design. 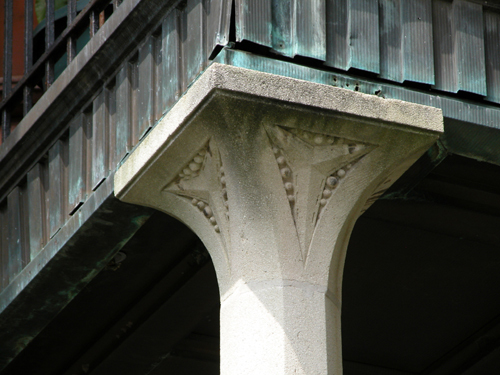 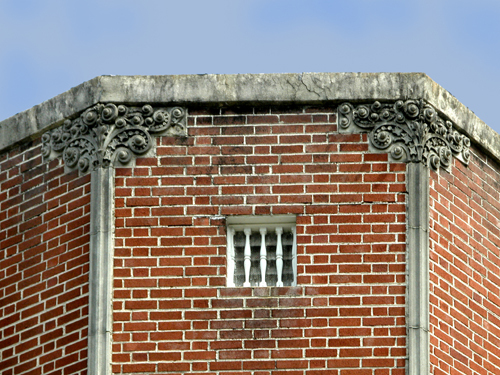 The reserved Sullivanesque decorations are reminiscent of the great terra-cotta scrollwork on the St. James Building, which had been the masterpiece of Klutho's career some twelve years earlier.